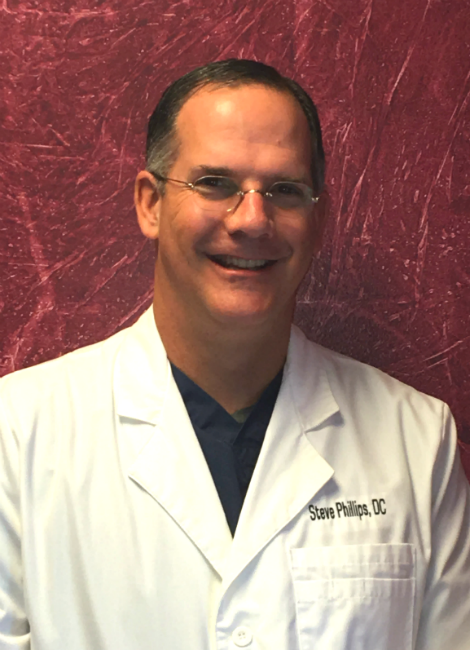 Dr. Stephen T. Phillips, D.C.
Dr. Steve Phillips received his Doctor of Chiropractic Degree from Logan college of Chiropractic in 1992. He is board certified from the National Board of Chiropractic Examiners. He has been serving the health care needs of Shelby and Jefferson County for the past 23 years. At Birmingham Spine, we focus on helping patients overcome back pain, neck pain, arm pain, leg pain and headaches as rapidily as possible. Our approach focuses on accuratge diagnosis and individulaized treatment plans. Central to this approach is teaching our patients how to care for themselves. We integrate the best that chiropractic treatment, physical therapy, and pain management have to offer into a well-rounded approach. We bring our 23 years of experience in providing the hightest quality spine care possible. We cooperate with primary care physicians and specialists in the area in those cases in which further investigation or treatment is needed. We look forward to serving your needs. Welcome to our practice.